Plattsburgh, New York has a lot to offer, with Lake Champlain to the east and Adirondack Park to the west. The city is home to the State University of New York (SUNY) at Plattsburgh and Clinton Community College. It’s also the host of industrious factories and engineering sites. Many would say there is a good balance between nature and urbanization in Plattsburgh. During the fall, however, nature takes the spotlight. 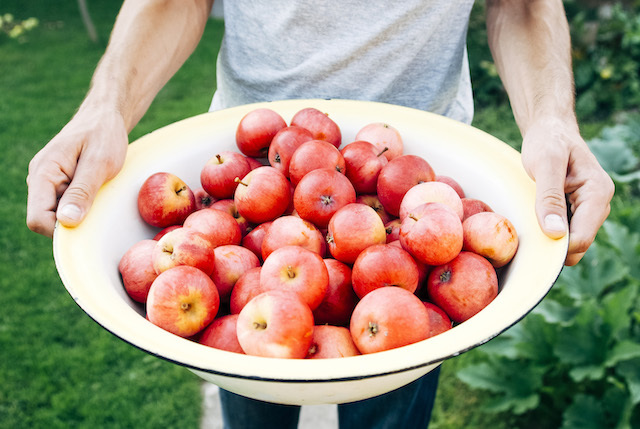 Apple picking season peaks September through October in New York, and it’s a fun fall activity to take part in. There are many orchards near Plattsburgh where you can pick fresh, crisp apples right off the branch. We’ve listed the best apple orchards and farms from nearest to farthest from Plattsburgh. Banker Orchards is a great place to go apple picking right in Plattsburgh. They grow a variety of fresh apples that you can pick yourself. If you visit during October, you can pick a pumpkin there, as well. After you’ve picked your fresh apples, try out their amazing baked goods. They’re known for their dusted apple cider doughnuts and seasonal pies! If you really want to get a taste of country life, check out Banker Orchards’ on-site petting zoo with pigs, goats, llamas, miniature donkeys, and horses! Check them out on Facebook for details on apple picking and all their orchard activities. 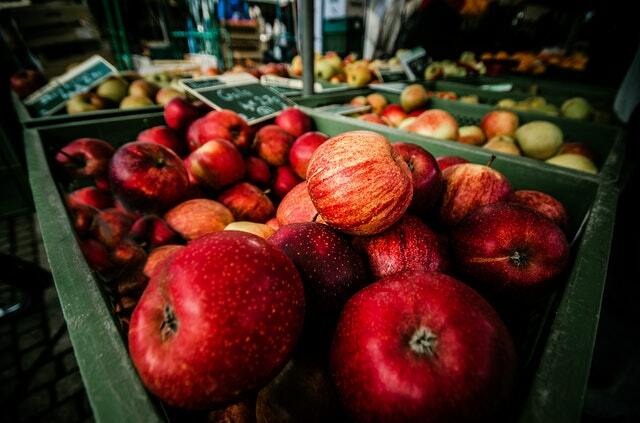 A bit different from your traditional apple picking, Everett Orchards Farm Market & Cidery is a retail location where you can purchase fresh apples and ciders. They create their ciders with apples from their own orchard in the Champlain Valley. They’re known for McIntosh apples and sell other varieties, such as Red Delicious, Jersey Mac, and Bittersweet. Their selection of ciders are wide-ranging and unique with carbonated, dry, sweet, semi-sweet, bitter, and hard ciders. You can learn more about the history of the orchard and cidery here, and find business information on their Facebook page. Applejacks Orchard is another popular place to go apple picking near Plattsburgh. It’s located just outside town in Peru, New York. This apple picking orchard is family oriented and offers a variety of activities for visitors of all ages. In addition to apple picking, you can visit their petting zoo, go on a hayride, and stop into their gift shop. When you go picking at Applejacks, you’ll have over 18 types of apples to choose from, and their knowledgeable staff will help you learn the differences between them. Updates on which apple varieties are ripe and ready to pick are posted on their Facebook page. At Rulfs Orchard, you’ll witness a beautiful selection of vibrantly colored fruits and vegetables for sale in their market and find 15 varieties of apples growing on their orchard. There’s also a bakery open year-round filled with your favorite sweet treats like doughnuts, cookies, and pies. If you want to be hands on with your fruit, you can forego the market for their u-pick option, where you can pick fresh apples, strawberries, blueberries, and pumpkins directly from the vine or branch. The farm has been established and growing their diverse selection of crops since 1952. For updates on which u-pick fruits and vegetables are in season, visit their website or Facebook page. Northern Orchard Co., Inc. has been growing apples in the Champlain Valley for over 100 years. You can pick up a basket of your favorite apples at the Northern Orchard Farm Stand, open seven days a week May through December. While you can’t pick your own at this location, the apples are still fresh from the farm. In addition to apples, they grow tons of other items, including asparagus, tomatoes, potatoes, lettuce, broccoli, cherries, plums, beans, zucchini, squash, corn, and more! You can find more information about their stand on their website, and find out what they’re up to currently on Facebook. With all these great apple orchards around Plattsburgh, you’ve got to go apple picking this fall! Check out the map below to locate these apple orchards near Plattsburgh.